Cheering for Azzurri at lo Stadio Olimpico... Drop the textbook formality and chat with the locals in Italy's everyday language. - What's up? Che c' ? - I'm so plastered. Sono demolito/a. - Do you wanna cuddle? Vuoi coccolarci? - Nice body! Che corpo! - I'm friggin' starving. Ho una fame da morti. - Hey ref, you're a moron! Arbitro cretino! Gabrielle Euvino is an adjunct professor at SUNY Empire and instructor at SUNY Ulster, where she teaches Italian Language and Culture. 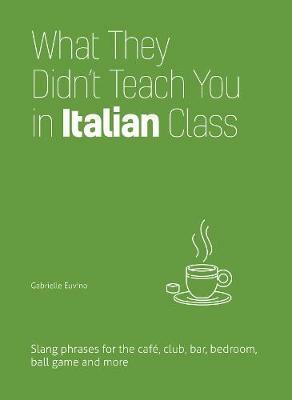 She has authored several books on learning Italian and is a professional translator and interpreter.